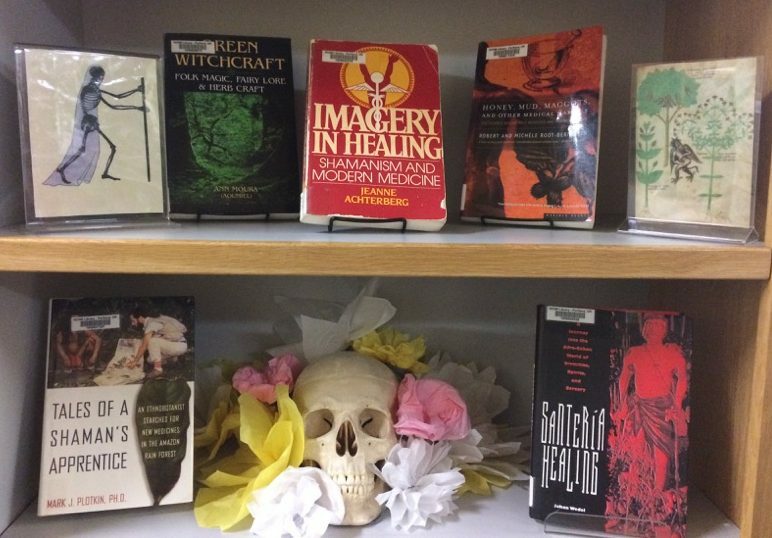 The new book display is all about mysticism, shamanism, spiritualism, and medicine. The library has gathered some books from our collection that delve into the intersection of healing, supernaturalism, and religion. Some subjects that these books go over are old wives tales, Santeria healing, shamanism and the history of witchcraft. Stop by the library and check out these enticing titles.